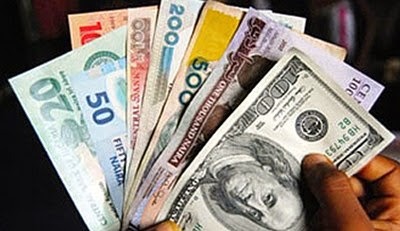 The Central Bank of Nigeria, yesterday, devalued the national currency, the Naira, as it moved the midpoint of the official window of the foreign exchange market from N155 to N168 to the one US Dollar. This means that the Naira will exchange between N168 and N174 to the dollar at the foreign exchange market. Official devaluation of the naira became inevitable as a result of reduction in government revenue from oil production and sales. The devaluation will increase the volume of Naira available to the federation account and to various levels of government to prosecute their local programmes. The CBN Monetary Policy Committee also, yesterday, raised the interest rate benchmark from 12 per cent to 13 per cent, thus signalling that interest rates charged by banks will go up further than they are now. The apex bank monetary policy committee further raised the cash reserve requirement for non-government deposits in banks to 20 per cent from its previous 15 per cent position while retaining the cash reserve requirement of 75 per cent for government and their agencies’ deposits in banks. Briefing the press on the outcome of the 98th meeting of the Monetary Policy Committee, in Abuja, CBN Governor, Mr. Godwin Emefiele, said that the combination of low accruals into the nation’s foreign reserves, owing to falling oil prices at the international market; continual depletion of the reserves; and high demand at the foreign exchange market made it difficult for the apex bank to continue to defend the Naira. “All the 11 members voted to move the midpoint of the official window of the foreign exchange market from N155/US$ to N168/US$”, he said. The CBN boss regretted that the high demand at the forex market was the handiwork of speculators and threatened to deal with those found to be involved in infractions. The wide gap between the exchange rate of N155 to $1 at the official market and about N178 to $1 at the Bureaux the Change made round tripping obviously very attractive.